Barolo lovers have become spoiled over the last fifteen years or so. While 2015 is clearly a mixed vintage, in any other previous era there is little doubt it would have been considered outstanding. Readers will find a number of dazzling 2015s, even if quality is uneven across the board. More importantly, though, the number of young growers and re-born older estates making compelling wines is greater than at any time since I first visited Piedmont in 1997. Quite simply, Barolo, and Piedmont more broadly, is going through a remarkable boom. I came away from my tastings more energized than ever. As always, this winter article focuses on wines bottled the previous summer. A subsequent report will focus on Barolos bottled in summer 2019 and later releases. Bartolo Mascarello drew these labels and others, known as Etichette Disegnate, during the years he was confined to a wheelchair. Some of the cantina's direct private clients and longstanding customers may receive a bottle with a reproduction (not an original) of a Mascarello-drawn label with their allocation. (Note that Etichette Disegnate bottles are shipped only to countries where regulations allow. For example, in many countries, the United States included, the approval process that would be necessary for these labels is simply impractical). Two thousand fifteen is not an easy vintage to break down into simple generalizations. In that sense, 2015 reminds me a bit of 2012, a year in which both the personality and quality of the wines are quite varied. The winter of 2014/2015 will be remembered for heavy rain and snowfall, which would turn out to be quite beneficial. Warm temperatures in late winter caused the growing season to get off to a quick start. Budbreak and flowering occurred within normal time frames. Rain returned in late May and into June, before temperatures began to rise sharply. Higher than normal temperatures persisted up until mid-August when spells of rain arrived. Although mid-June to mid-August was very warm, there were no real spikes, while hydric reserves that accumulated during winter allowed the vines to mostly make it through the heat without too much stress. A further, smaller rain event in early October caused a brief break in the harvest, which for most estates was a bit earlier than the norm. Growers brought in a healthy, clean Nebbiolo crop, as can be further evidenced by the number of traditionally minded producers who did extended post fermentation macerations, something that is only possible with sound grapes and skins in high quality vintages. Most producers remember the summer of 2015 as having been very hot, but data shows periods of cool weather were mixed in as well, especially at the end of the season, when evening temperatures moderated. Heat summation figures (the aggregate of temperature degrees above 10°C/50°F) as described in my colleague Alessandro Masnaghetti’s book Barolo MGA, Volume II. show that 2015 was warmer than the ten year average of 2007-2016, and yet a closer look at the data also makes clear that the months of September and October were cooler than the ten year average. This explains why the 2015s don’t have the intense warm-vintage profile of wines from years such as 2003, 2007 or 2011. This graph from Alessandro Masnaghetti's book Barolo MGA, Vol. II breaks out heat summation data by month for 2015. Red boxes show that April through August, and 2015 as a whole, were warmer than the ten year average of 2007-2016, but that the months of September and October, were cooler than the average. The top row presents data in Celcius, while the bottom row is Farenheit. Used with permission. Interestingly, while the 2015 Dolcettos and Barberas (both of which ripen earlier than Nebbiolo) are very clearly wines from a warm year, the Barolos are much more mixed in style and also harder to speak about in general terms. 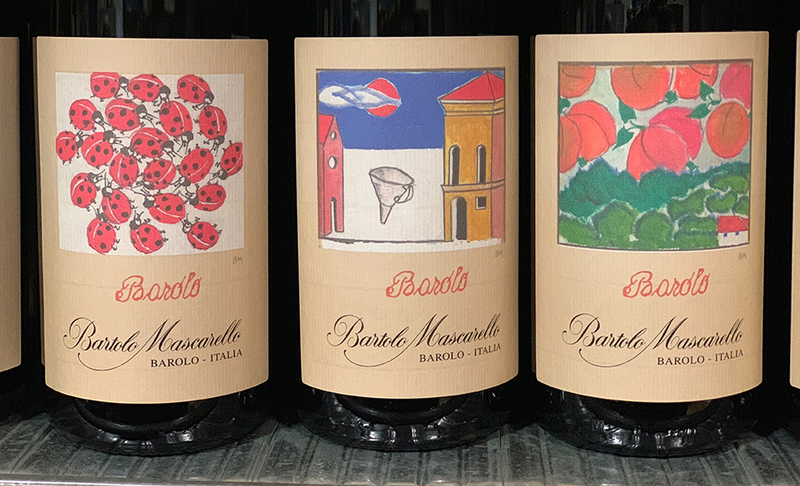 Some 2015 Barolos are fresh and vibrant, as one might expect in a cooler year. Other 2015s show the ripeness of the warm summer in their overall intensity and fruit profiles. With a few exceptions, 2015 is a vintage of mid-weight structure. More than one producer told me that tannin levels were very high in 2015, although the wines don't really taste that way at all. 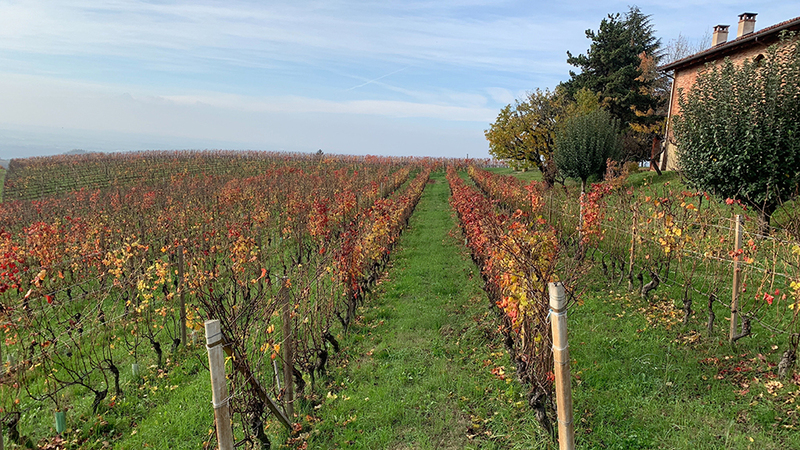 Ultimately, the tasting notes in this article will be the best guide for understanding how specific estates handled the challenges of the growing season. 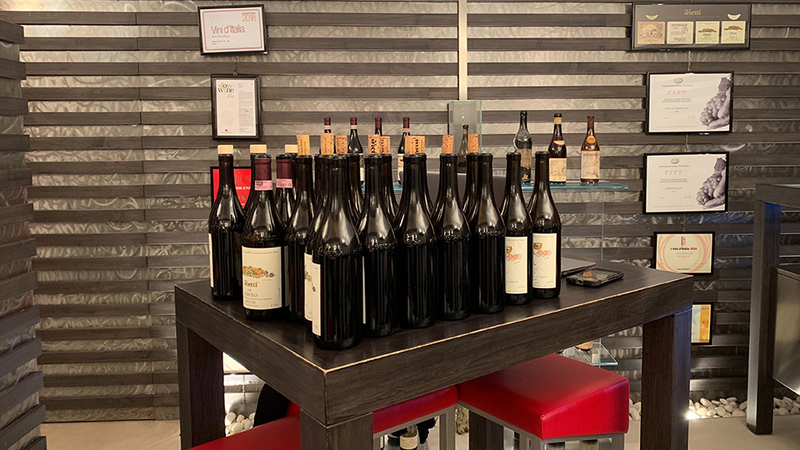 As I tasted the 2015s, I also revisited the 1998s for an upcoming retrospective, I could not help being struck by how much has changed in Piedmont since those wines were made. Twenty years ago, growers would have welcomed a hot summer and done everything possible to exalt that natural richness by deleafing aggressively and dropping crop. Today, growers are focused on balancing the whims of Mother Nature when temperatures are excessively hot. So, in the final analysis, the current mindset of growers today also plays a significant role in ultimately shaping the wines. I generally advise Vinous readers to focus on producer above all else. Two thousand fifteen is a perfect vintage to see why that approach makes sense. That's not to say there aren't highlights in 2015. There most certainly are. Roberto Conterno, Fabio Alessandria at Burlotto, Gianluca Grasso, Silvia Altare, Luciano Sandrone and Maria Teresa Mascarello are among the producers who crafted exquisite wines. But 2015 is not a uniformly outstanding vintage. I simply don’t see the personality of a truly important year. For example, vineyard signatures aren’t as finely delineated as they are in the greatest vintages. That may be splitting hairs, but in my mind, these distinctions are important. In fact, they are the essence of what Nebbiolo is all about: the details. While the finest 2015s in this article are well worth seeking out, longtime Piedmont connoisseurs are likely to find as much or more pleasure in the best 2014s and the 2016s. Whatever the strengths and weaknesses of the 2015s are, the bigger, and in my view far more compelling, story in Piedmont is the emergence of young producers and revitalized older estates making wines that are increasingly worth paying attention to. Long time Barolo drinkers are understandably discouraged by the speculation and evaporating supply of some of the region’s most coveted wines. Unsurprisingly, by far the most common question I get when it comes to Piedmont is “Who are the up and coming growers to look out for?” So, in that vein, I have profiled some of the most promising estates in Piedmont. Stated simply, there are more producers knocking on the door of the elite than at any time since I started visiting Piedmont more than twenty years ago. And that is incredibly exciting to watch as it unfolds. Sergio Barale – Barale is crafting some of the finest wines in their long history under the direction Eleonora Barale and winemaker Stefano Dellapiana. La Briccolina – This tiny estate in Serralunga still sells most of their fruit to neighbor Pio Cesare. There is just one cask of the estate Barolo in each vintage, but that will grow over time. Simona Grasso and her son, Daniele, are doing an admirable job after the unexpected passing of husband and father Tiziano Grasso a few years ago. Burzi – The Burzi family owns a handful of top sites in La Morra. Alberto Burzi is still finding his voice as a winemaker and is somewhat limited by the constraints of his tiny cellar. Even so, there is quite a bit of potential for the future. Castello di Verduno – The new generation led by proprietor Marcella Bianco and winemaker Mario Andrion has completely re-energized this once dormant estate. Today’s wines are positively stellar. Diego Conterno – Diego Conterno set up shop under his own name with a collection of top-notch vineyards when he split off from Conterno-Fantino in 2000. Conterno and his son, Stefano, craft nuanced, classically inspired wines of real character. Crissante Alessandria – This small estate in La Morra’s Roggeri district makes perfumed, gracious Barolos that continue to improve. The wines could use a bit more depth, but there is ample potential. Dosio – Winemaker Marco Dotta, formerly at Marchesi di Gresy is making gorgeous Barolos that are increasingly of note at this La Morra estate. 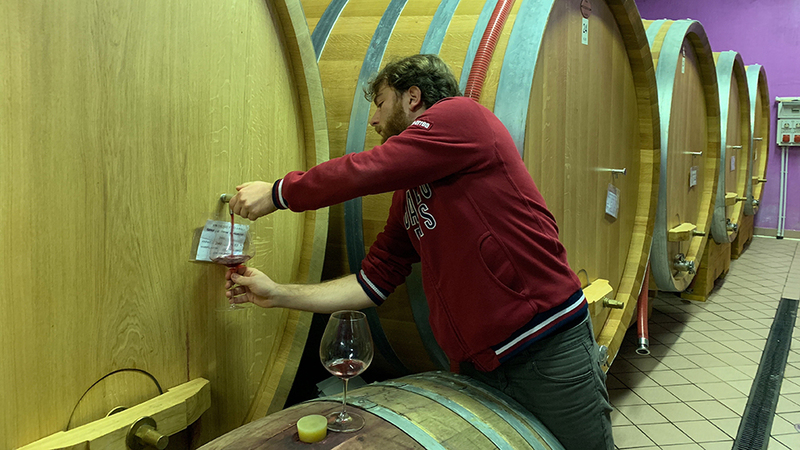 Giovanni Manzone – The 2015s were still in barrel and unblended when I visited last November, but those wines are yet another sign that quality has improved markedly over the last handful of years at this estate in Monforte d’Alba. Luigi Oddero – Following the acrimonious split of the family estate, the Luigi Oddero branch of the family is crafting sleek, polished wines of real character. 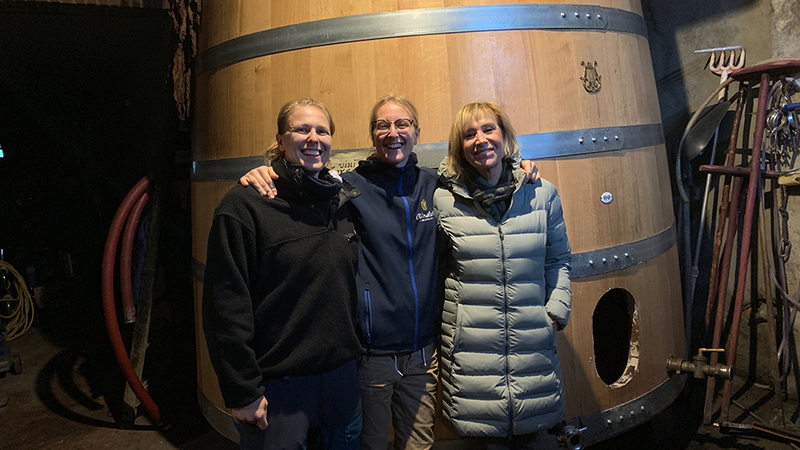 Oddero – Cristina Oddero has been through more than her fair share of ups and downs, but she is now making the most consistently outstanding wines I have tasted here since I first visited the estate nearly twenty years ago. Elio Sandri – Elio Sandri is a true contadino – an old-school farmer tied more to the land than the cellar. Sandri’s wines are deep, bold and full of personality, just like the man himself. Trediberri – Nicola Oberto is young, passionate and full of ambition. 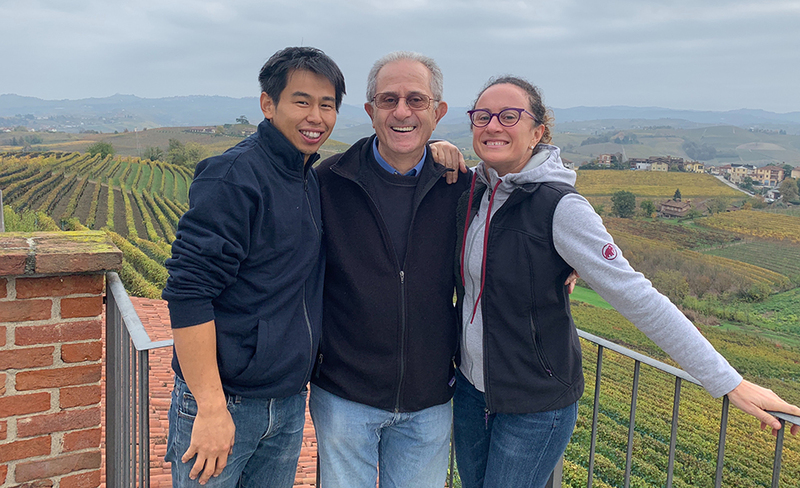 His family also owns top-notch vineyards, including the crown jewel – holdings in La Morra’s Rocche dell’Annunziata that previously went to Ratti. Mauro Veglio – This La Morra estate enters its second generation now that Alessandro Veglio has joined his uncle Mauro, and wife Daniela. Recent vintages the Veglios have made together have not yet been released, but what I have tasted so far is both intriguing and highly promising for the future. 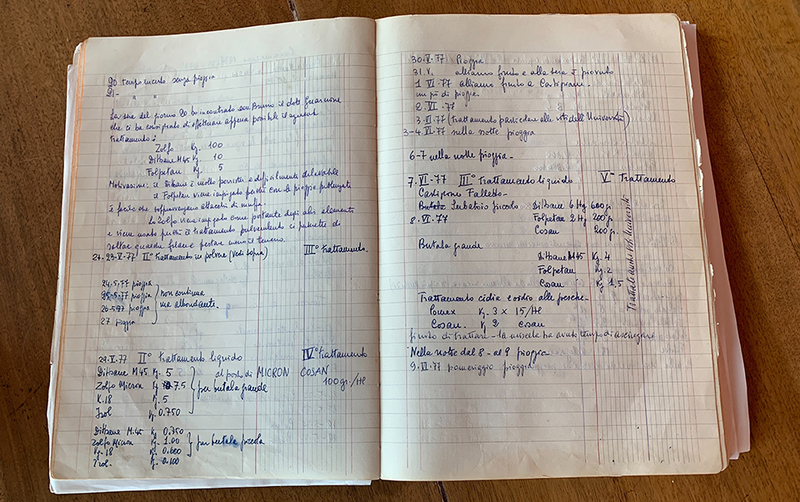 I tasted most of the wines in this article over ten days in November 2018, followed by a few follow up tastings in my office in New York. Of the producers I normally cover, Roberto Voerzio is missing because of scheduling conflicts, while I have not had a chance to taste new releases from Giuseppe Mascarello yet. I will report on both producers as soon as I have an opportunity to taste their wines.